Three days is the perfect amount of time to spend in Tokyo. My three-day Tokyo itinerary is the best way to get the most out of your time in this incredible city. Three days is the ideal amount of time for the traveler to stay in Tokyo. On Day 1, visit modern Tokyo on the west side. On Day 2, visit traditional Tokyo on the east side. 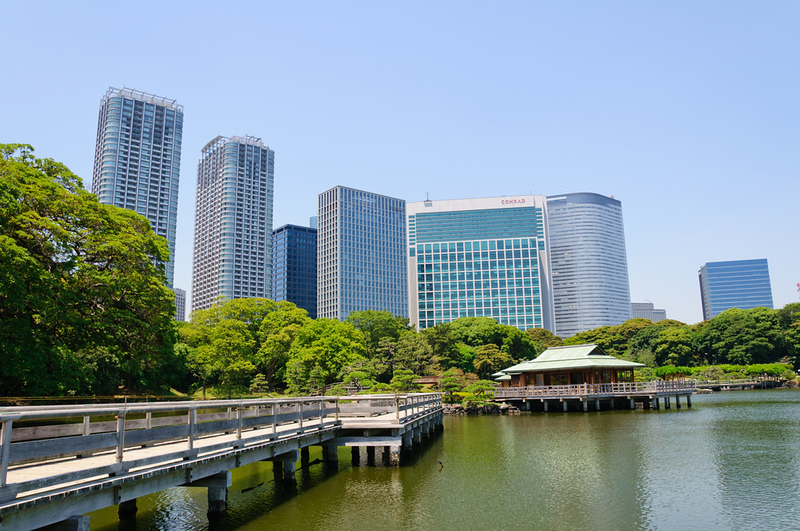 On Day 3, visit the Imperial Palace Area and Shinjuku. 8:30am: Take the train or subway to Harajuku. Depending upon where you stay, you'll probably take the JR Yamanote Line to Harajuku Station or the Chiyoda subway line to Meiji-Jingumae/Harajuku Station. 9:00am: Arrive in Harajuku and visit Meiji-jingu Shrine. After visiting the shrine, walk along Omotesando (the main avenue of Harajuku), checking out all the cool shops. Then, walk east all the way to the superb Nezu Museum and its fantastic garden (do not miss the garden!). 11:00am: Walk back to the intersection of Omotesando and Aoyama-dori and take the Ginza subway line west to Shibuya. 11:15am: Arrive in Shibuya, take the Hachiko exit and then walk across the famous Shibuya Crossing. Explore the big department stores and boutiques of Shibuya. 1:00pm: Eat lunch somewhere in Shibuya. All the department stores in Shibuya have huge restaurant floors. For more choices see the Shibuya district page Places to Eat section. 2.30pm: Take the Yamanote Line one stop south from Shibuya to Ebisu Station, then switch to the Hibiya Line subway and take that two stops east to Roppongi. 3:00pm: Arrive in Roppongi and visit the Roppongi Hills complex. Take the elevator up to the 52nd floor Tokyo City View observation deck of the Mori Tower to see the city. 6:00pm: Eat dinner in Roppongi. See the Roppongi Places to Eat section on the Roppongi district page for some of my picks. 9:00am: Take the Ginza subway line up to Asakusa. Visit Senso-ji Temple and nearby Asakusa-jinja Shrine. 10:30am: Take the Ginza subway line three stops west to Ueno. 11:00am: Arrive in Ueno. Visit the wonderful Tokyo National Museum, Ueno-koen Park and Tosho-gu Shrine and then make your way back to the station. 1:00pm: Take the JR Yamanote Line south to Tokyo Station. Eat lunch in or around Tokyo Station. See the Tokyo Station Area Places to Eat section for my recommendations. 2:00: Check with the tourist information office in the basement of the Kitte Building to see what's on at the Mitsubishi Ichigokan Museum or the Bridgestone Museum of Art. Consider a nice stroll in nearby Hibiya-koen Park afterward. 3:30pm: Return to your hotel for a nap and a shower. 6:00pm: Eat dinner in an area like Shinjuku, Ginza, Marunouchi or someplace close to your hotel. See the relevant district pages for recommendations. 8:00pm: If you've still got the energy, go out for a drink in a place like Roppongi, Shinjuku or Shibuya. See the relevant district pages for recommendations. 9:00am: Get yourself to Tokyo Station by train or subway. Walk east from Tokyo Station to the Imperial Palace East Garden. Visit the East Garden and exit via the Kitahanebashi-mon. 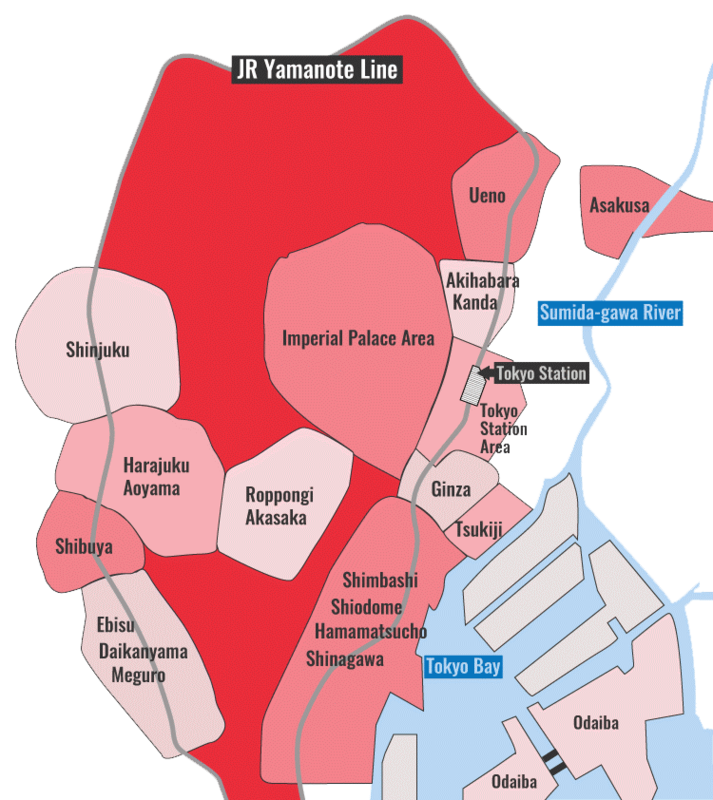 For details on this area, see the Tokyo Imperial Palace Area page. 11:00am: Walk north through Kitanomaru-koen Park and then visit Yasukuni-jinja Shrine. Do not miss the controversial and interesting Yushukan Museum at the shrine. For details on this area, see the Tokyo Imperial Palace Area page. Noon: Take the Shinjuku Line subway west to Shinjuku. Eat lunch somewhere in Shinjuku. See the Shinjuku page for some suggested places to eat. You might want to hold off on eating lunch until 1:00pm to avoid the lunch rush. 1:00pm: First, go up to the observation deck of the Tokyo Metropolitan Government Offices to see the view of the city (and maybe even Mt Fuji) from the observation decks. Then, walk over to the East Side and check out the bustling shopping and entertainment district around the station. See the Shinjuku page for details on this area. 4:00pm: Return to your hotel for a rest and shower. 6:00pm: Eat dinner in the district of your choosing. Shinjuku, Shibuya, Ginza and Roppongi all have lots of great restaurants to choose from. 8:00pm: After dinner, head to Roppongi for a stroll and a drink or two. See the relevant district pages for some recommended bars. If you're only going to be in the city for three days, you should try to base yourself in a central location so you don't waste time moving around. I'd suggest Shinjuku, Shibuya, Ginza or the Tokyo Station area. For more on where to say, check out my Where to Stay in Tokyo page. On Day 2, another good option for the afternoon is the Edo-Tokyo Museum. It's easy to reach from Asakusa, Ueno or Tokyo Station. On Day 3, if it's very hot or you don't feel like walking much, cut out the Imperial Palace Area and head over to the Edo-Tokyo Museum (if you haven't already visited it). Don't try to do more than this with three days in Tokyo. If anything, cut out some of the destinations in this itinerary and slow down and relax! Tokyo is a huge city and it's tiring to move from place to place. Less is often more in a place like Tokyo.